It’s funny how we got to this moment of fever pitch Star Wars excitement. When the Disney sale and new trilogy were initially announced, it came with a certain level of healthy cynicism. After all, the disappointment of the prequel trilogy grew into near legendary hatred almost on par with the decades love fostered by the original trilogy. Then the trailers started to appear, created for maximum nostalgia impact and with JJ Abrams love of mystery box storytelling/marketing. Suddenly we were all seduced by the galaxy far, far away again. George Lucas created Star Wars to be a mythology for a generation starved of such entertainment and he succeeded beyond his wildest dreams. 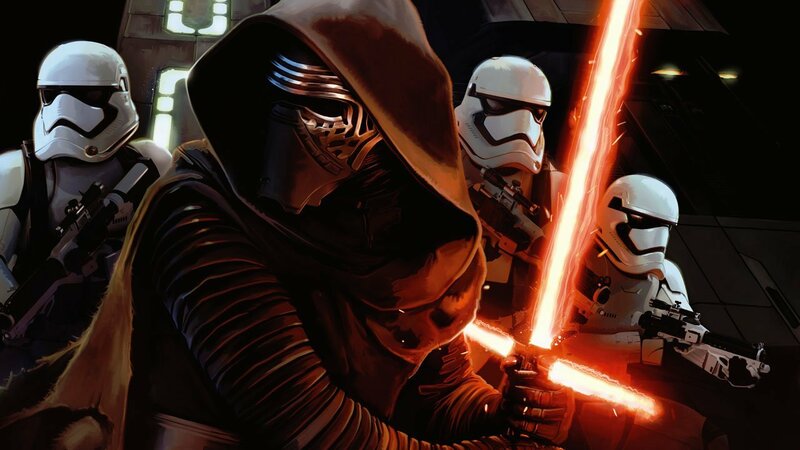 Well, The Force Awakens is finally here and thankfully, it’s good…very good, even. As much as Star Wars was self-consciously constructed as new mythology, The Force Awakens has been self-consciously constructed as a Star Wars movie. It’s essentially fan fiction writ large. A movie designed to pull warm n’ fuzzy feelings of nostalgia within a rollicking roller coaster. 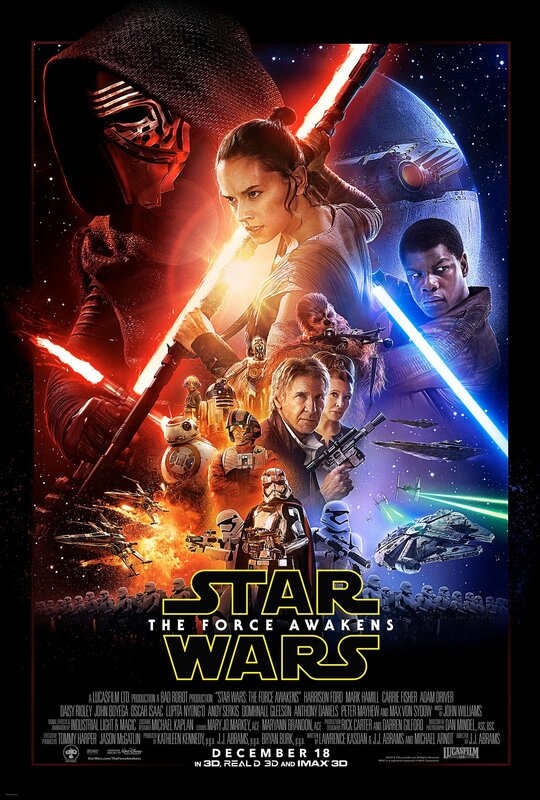 Even if it isn’t a perfect movie, it is exactly the Star Wars experience that we all hoped for. That’ll do. That’ll do just fine. There’s no need to get into specific plot summaries. In the spoiler-fearing culture we all live in, most would just gloss over it anyways. But beyond that there isn’t much story you’d want to give away anyways. First of all, this is a film created with the luxury of knowing there are two movies left with which to conclude the grand overarching narrative. It’s all first act and plays more like a pilot episode than a stand alone film (in a good way). JJ Abrams and his writing partners Michael Arndt and Lawrence Kasdan also constructed the film to be an echo, rhyme, and reflection of A New Hope. That’s entirely appropriate. One of the few successful experiments in the prequel trilogy was the way Lucas created a story that mirrored and reflected his previous works as one grand poetic narrative. The foundation for the new trilogy does the same thing, only even more specifically. There are plans hidden in a droid (BB-8, delightful), a wise old lost Jedi (Mark Hamil) who needs to be found, a young hero lost isolated in a desert planet (Daisy Ridley) whose heroic destiny is not yet known, cocky flyboy (Oscar Isaac), an unlikely hero on the rise (John Boyega), a cloaked/masked figure of evil (Adam Driver), a massive weapon of galactic destruction, and a narrative constructed as one big chase that ties all these elements together. Of course there are surprises, familial connection bubbling beneath the surface, space fights, laser guns, force powers, and lightsaber battles. That all goes without saying and their context is best discovered in the midst of the restless storytelling. JJ Abrams and co. didn’t approach this as a movie. They set out to make a Star Wars movie with all that implies and loved the source material enough to do it justice. It feels like one big massive act of fan service, yet not in a way that could even remotely be confused as pandering. The line between fan service and mythically consistent storytelling is blurred in a wonderful way. One of their greatest tricks was the way this movie views the events of the original trilogy as myth. The characters all know of the adventures of Luke, Han, and Leia. They view them with the same sense of legend as the audience. So JJ can give a grand old introduction to Harrison Ford designed to provoke opening night applause and hysterics from fans and have it feel narratively and thematically relevant. The film is filled with winks and call backs, almost defined by them. Yet they feel like necessary elements of the storytelling. Clever JJ, clever. The new cast all fit into the established universe perfectly. Ridley and Boyega in particular are cast to perfection. They are new, fresh faced stars who deserve to be at the center of such an iconic work, growing just enough to gain deserved audience connections in this chapter while being groomed to expand into more dramatically satisfying and complex characters in the future. Adam Driver fills the Darth Vader sized hole in the film comfortably. He cuts and imposing presence as a new threat as prone to childish temper tantrums as acts of pure evil, with hints of deeper connections to the larger world destined to be teased out later. As for Oscar Isaac, he delivers some fun swashbuckling, but whoever his character might be and his significance in this larger narrative remains unclear for now. Obviously it’s goddamn delightful to see the original cast return to their iconic roles. Harrison Ford in particular cuts an imposing movie star presence and feels more engaged with Han Solo than he’s been since roughly 1980. He has a major role to play in this story above all other returning cast members and that’s entirely appropriate for reasons that will be clear once you see the film. Watching him and Carrie Fisher interact again on screen is the stuff of tearful joy and a massive cinematic highlight completely devoid of special effects. However Fisher’s exact role in this new story remains to be seen. As for Mark Hamil, JJ hasn’t been lying about the fact that there’s a very specific reason he hasn’t appeared in any trailers or posters and it’s not what you might think. The story is told with the filmmakers’ foot placed firmly on the accelerator. It starts into the middle of a new ongoing saga. A chase kicks things off that continues until the credits roll with the audience learning all of the important info in a game of catch up. The action and effects sequences are easily the best that Abrams has ever conceived/supervised. A mixture of stunning natural locations, massive sets, beautiful puppetry, icky make up, and plenty of CGI combine to give viewers astounding space battles, breakneck chases, creeping suspense, and pure visceral catharsis. You’ll see everything that Star Wars gave to the blockbuster industry on a grand satisfying scale that will plaster smiles on faces and draw tears from weary eyes. However, the film’s problems spring straight from it’s breakneck and nostalgic strengths. The movie never settles down for moments of quiet beauty, which might leave some viewers exhausted. Likewise, the “all set up, all the time” storytelling style can often feel somewhat unsatisfying. Many questions hungry fans hold while walking into the theater remain unanswered by the times the credits roll and it’s tough to say how many of those are deliberately held secrets and how many are plot holes or lazy storytelling. Undoubtedly, the flick is filled with nits for bloggers to pick and pick they will. It’s also a film that leaves most of the thematic weight and narrative meaning that will define whatever this new trilogy becomes left unstated. The next movie will contain that material (assuming it even exists) and thankfully the genius that is Rian Johnson is in charge of that episode. He’s the guy to deliver whatever complexity this series will hold. So, it’s a pleasure to report that The Force Awakens delivers the goods and delivers them well. Is it a perfect or deep movie? Nope, but if you were to examine any Star Wars movie under the microscope, none of them are (Well, maybe The Empire Strikes Back). More importantly, focusing on the few problems at the heart of the blockbuster is missing the point. After all, what else is Star Wars but one of the most beautifully escapist entertainment contraptions ever conceived? What JJ Abrams and his team have delivered is a work of pure entertainment that whisks us off to that very particular galaxy far, far away and reminds us all why we hold it so dear. The complains the fans have raged about since the prequels have been addressed and the new movie has been crafted with considerable care for what came before. This is the Star Wars you’ve looking for. No mind tricks here. The applause and cheer and wonderment filling theaters on opening night will be genuine. The experience of seeing the movie in a packed house will be rapturous. Whatever the legacy of the new movies turns out to be once the one-Star-Wars-project-a-year production slate hammers us with product remains to be seen. We likely will grow tired of these movie again one day. But that’s a concern for a future. For now, Star Wars is back in the exact ways we always wanted. It’s a good time to be a geek. As much as Star Wars was self-consciously constructed as new mythology, The Force Awakens has been self-consciously constructed as a Star Wars movie.